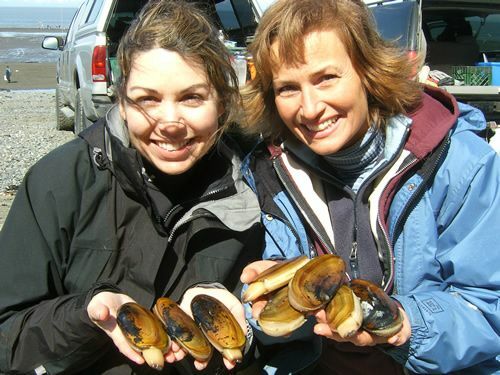 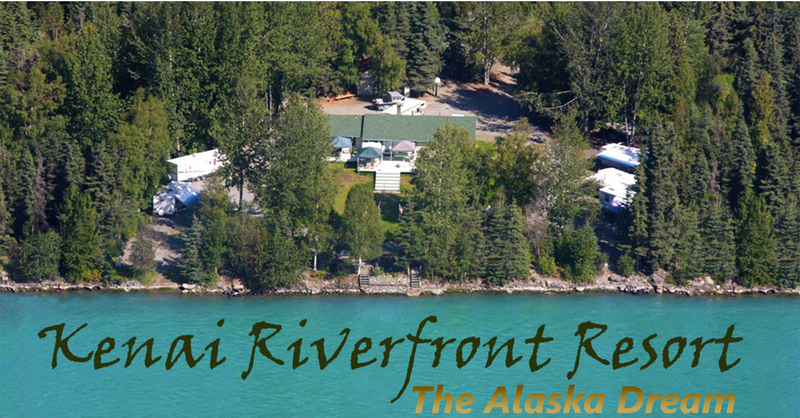 The southern Kenai Peninsula, near Clam Gulch State Park, Ninilchik, Deep Creek and Homer, is well-known for exceptional clamming and beach combing. 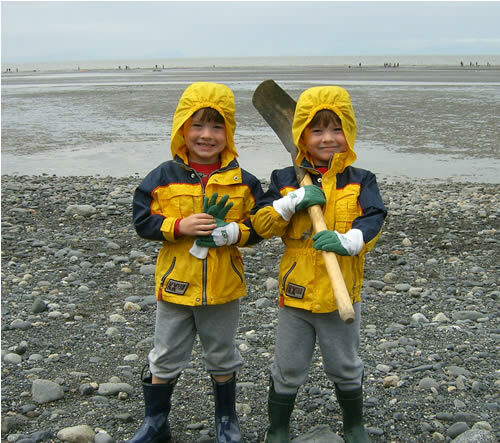 Sandy beaches and low summer tides make clamming easy, and the delicious jumbo Alaska Razor Clams (siliqua patula) make great clam bakes, frys and chowder. 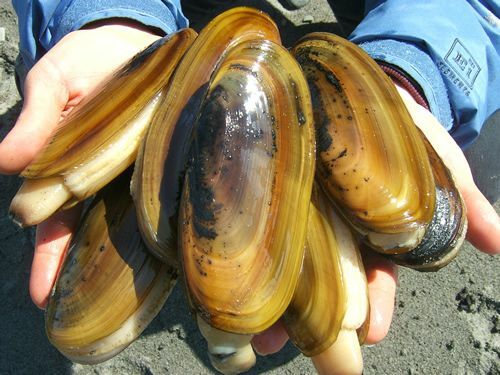 Steamer clams are also available in some secret rocky beach locations. 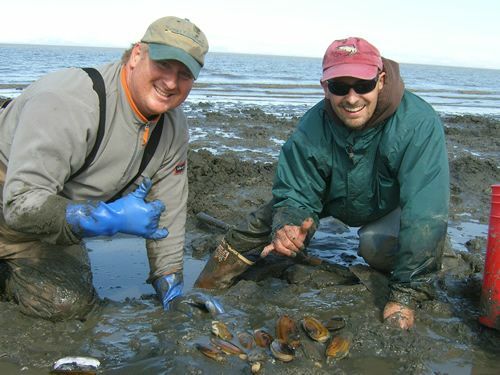 The best time for clamming is 1 hour before and up to 2 hours after a low minus tide of at least 2 feet. 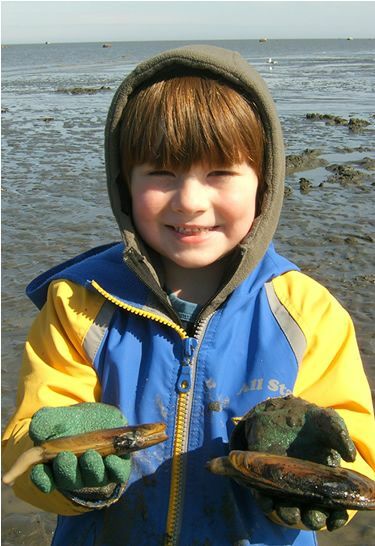 These tides generally occur twice a month and clamming is good throughout the summer months, though many locals prefer clamming in April, May, & June before the clams go into their summer spawning phase. 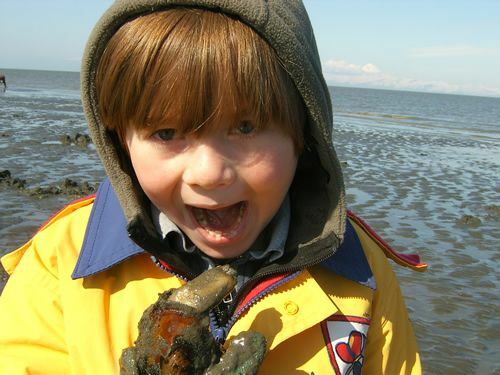 You always need to confirm the current tides before heading to the beaches for clamming. 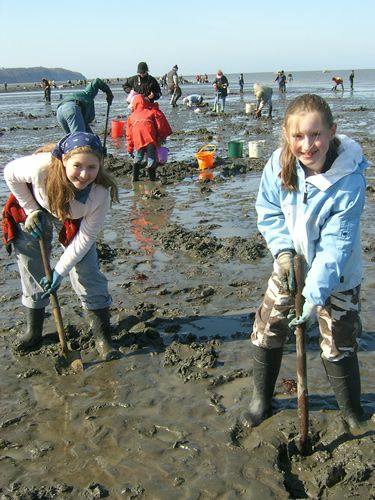 You want to see a large swing from the highs to lows resulting in what is referred to as the minus tides that you need to access the fertile clam beds, where the sea level recedes beyond the mean low tide mark. 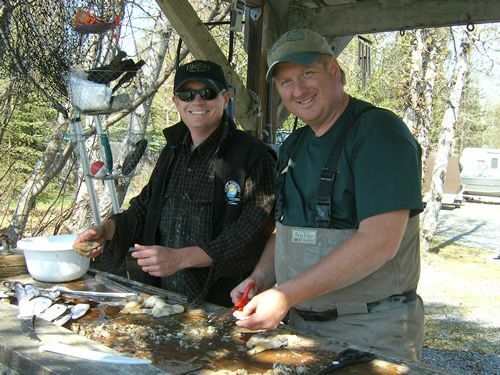 What to Bring: rubber gloves, buckets, clam shovels or guns, warm water to wash cold hands, boots (rubber boots, hip waders or chest waders), and camera! 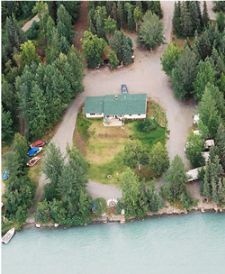 Where to Gear Up: Soldotna Trustworthy Hardware has all the clamming gear you need at great prices, and their located right on the Sterling Highway as you leave Soldotna. 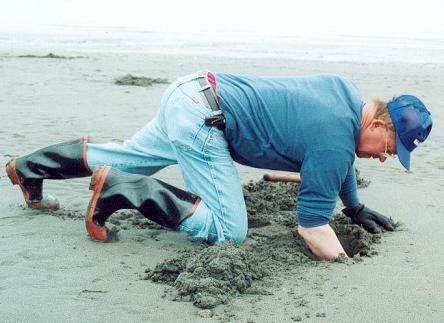 So grab your clam shovel or clam gun, some boots, a bucket or two, check the local Tide Predictions, and hit the beach! 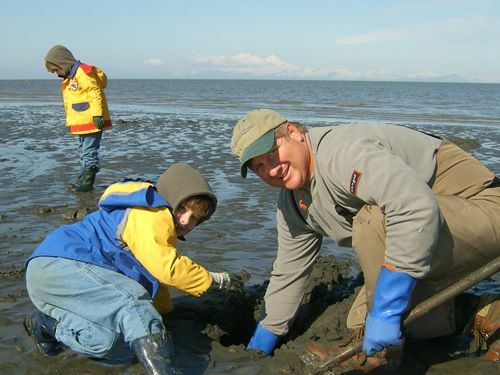 Here's a link for the Ninilchik/Clam Gulch area tide predictions for this season.